Since the time I could read Nancy Drew, I have wanted to write mysteries. In 2005 I attended a book signing at my local Christian bookstore. The rest, as they say, is history. There I met Colleen Coble. With prompting from my husband, I shared my dream with Colleen. Since those infamous words, I've been writing award-winning books with the count currently at 25. In addition to writing, I am a homeschooling mom of four, attorney, lecturer at a Big Ten university, active in women's ministry, and all around crazy woman. Crazy about God, my husband, and my kids. I graduated with honors from the University of Nebraska-Lincoln (Go Huskers! ), George Mason Law School, and Purdue University's MBA program. You can learn more about my books at http://www.caraputman.com. 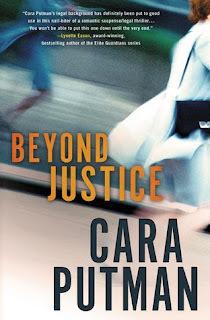 And if you'd like a copy of my legal suspense novella, Dying for Love, simply connect with me here (http://www.caraputman.com/contact/) , and I'll send you the link. I do not know why I have not read any books by this author before but I am glad I did now. This book was full of suspense and get me reading long into the night. It was fast paced which made for better reading. I also liked that this was a legal suspense book. Having worked in the legal field for many years I liked to read books with this theme sometimes. It was not good that the further Hayden got into the case the more people turned up dead. It made you wonder what exactly was going on. Don't worry it all comes together in the end. I thought Hayden was a good strong main character and look forward to reading more books about her and the cases she takes on. I also liked how we got a taste of Hayden and Andrew's relationship. Oh and the author did a good job of describing scenes and how certain things worked like the juvenile detention center. I am looking forward to the next book in this series.